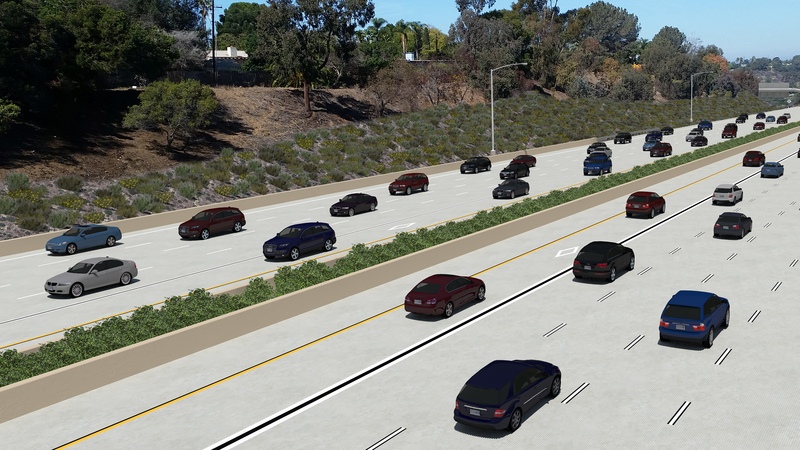 In November, as part of the Build NCC portfolio of on-going highway, rail, bike/pedestrian and environmental enhancements, construction teams will begin work to extend the northbound and southbound carpool lane on Interstate 5 (I-5) between Birmingham Drive in the City of Encinitas and Palomar Airport Road in the City of Carlsbad. Concrete barriers (k-rail) will be placed along an eight-mile stretch of the inner shoulder of I-5. The project is expected to be complete by late 2021. 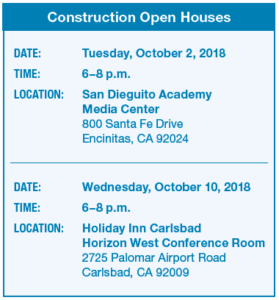 Caltrans and SANDAG invite you to attend an open house to learn about the planned improvements either on Tuesday, October 2 in Encinitas or Wednesday, October 10 in Carlsbad. Agency representatives will be there to explain the improvements, outline what to expect during construction, and share alternate transportation options and commuting resources during construction. Attendees also can learn about current construction activities taking place in southern Encinitas. 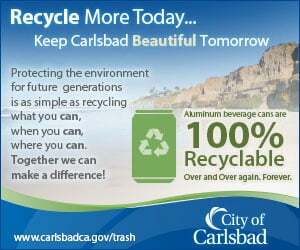 This includes adding an additional track along the coastal rail line, creating new bike and pedestrian path improvements, restoring the San Elijo Lagoon, and replacing the I-5 highway bridge over the San Elijo Lagoon. Funding for these transportation and quality-of-life improvements are made possible through a combination of state and federal funds, local TransNet dollars – a voter-approved, half cent sales tax for transportation administered by San Diego Association of Governments – and proceeds from Senate Bill 1, the Road Repair Accountability Act of 2017 (SB 1). SB 1 has provided over $1.1 billion to fix roads, freeways, bridges, and expand transit in the San Diego region. Caltrans and SANDAG are committed to minimizing impacts during construction and will work to ensure local communities are informed in a timely manner. Learn about alternate transportation solutions during construction, and assistance for employers and commuters by visiting iCommuteSD.com, calling 511 and saying “iCommute,” or emailing iCommute@sandag.org.